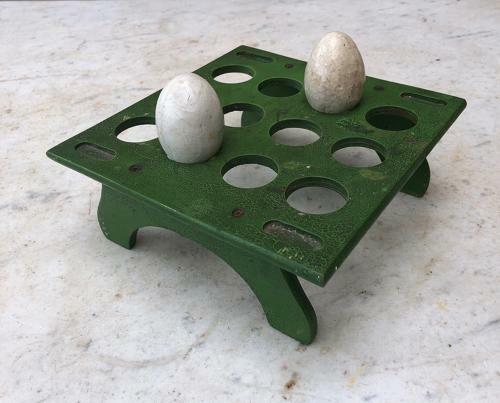 Late Victorian/Edwardian Treen Egg Rack in its Fantastic Condition Original Green Paint. Great colour & patina. Good and solid...perfect to use.